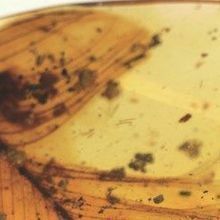 Scientists have found the 99-million-year-old remains of a baby snake. 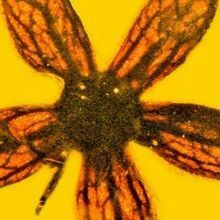 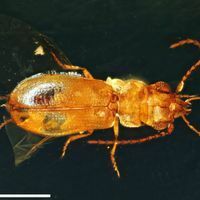 A 99-million-year-old beetle preserved in amber alongside grains of pollen likely pollinated prehistoric plants. 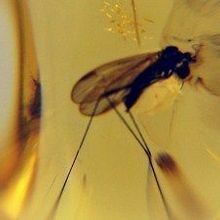 Researchers find that extracting dinosaur DNA from insects embedded in ancient amber is likely impossible.